Here's when to wear your “cheesiest sweater” to Chipotle to get free queso with any entrée. Needless to say, Chipotle has had some tough breaks over the past couple years, but oddly enough, the ongoing drama surrounding the Mexican chain’s queso might be the most frustrating of them all. In theory, introducing queso, which the brand did this past July, should have been a layup. The company said it was customers’ most requested non-menu item, not to mention that, hey, it’s gooey cheese, how can you go wrong? But from the get-go, Chipotle’s all-natural take on the cheese dip scored mixed reviews, primarily due to its grainy texture. The chain decided to take queso nationwide regardless—at the expense of chorizo—but have reportedly tweaked the recipe multiple times along the way. Now, Chipotle has planned another big promotion to try to get people on board with its current queso incarnation. Yesterday, the chain announced that, for one day only, “if you wear your cheesiest sweater to Chipotle on Tuesday, December 12th, we’ll hook you up with FREE QUESO when you buy an entrée.” Though the idea of a “cheesy sweater” makes for a good queso-holiday tie-in, Chipotle doesn’t really do much to define what makes a sweater as cheesy. “Surprise us,” the company says. As a result, this promotion would seem like an attempt to simply get as much queso into customers’ hands as possible with the hope that positive experiences follow. It’s somewhat of a risky gambit for Chipotle, especially because the chain seems to be riding a delicate line of whether it wants to admit just how much the queso continues to evolve. Last week, Business Insider’s Kat Taylor reached out to the company after being “pleasantly surprised” when a recent queso order arrived “less grainy” and with “a more even heat” than a previous taste test. Chipotle admitted to the change. “Same commitment to ingredients (still all real ingredients with nothing artificial), but it's got a creamier texture and a really nice flavor,” spokesperson Chris Arnold responded. But will other customers feel the same way? And will those already scorned by previous queso versions even be willing to give it another try just because its free? 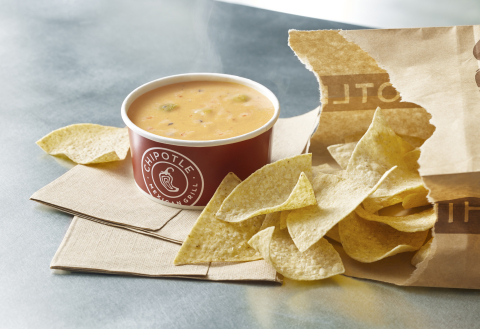 December 12 would appear to be Chipotle’s queso D-Day.